Happy (late) new year everybody! I'm looking forward to sharing my baking stories throughout 2014 and hope to make some more cool cakes like this one I made last year for my friends boyfriend. The year before I made the Air Jordan shoe cake for his birthday cake so this year I assumed I would make something similar, maybe another shoe or something equally manly and cool. To my surprise my friends boyfriend requested a Minion cake. 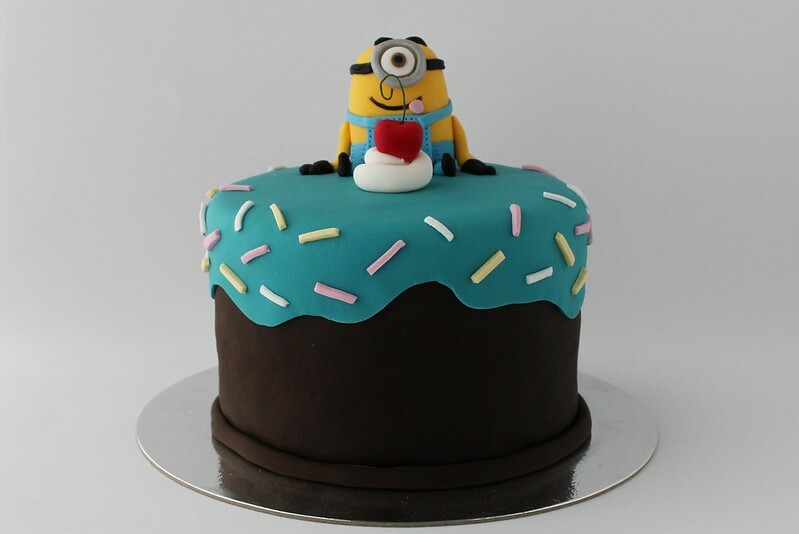 You heard me right, a Minion cake! I was over the moon at making anything besides a shoe to be quite honest and the idea of making a Minion cake got me all excited! 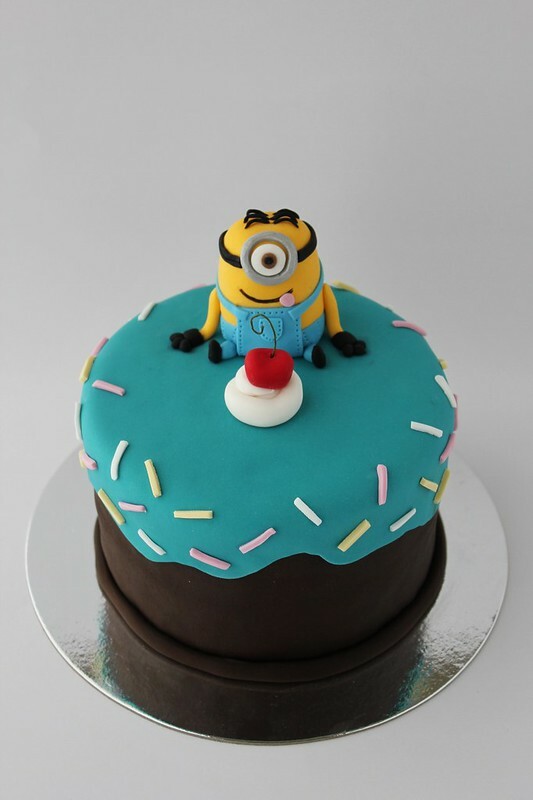 The tricky thing is that everyone (in the cake world anyway) makes 3D Minion cakes and I didnn't have the time or money to make something on that kind of scale. I had to think of something cool, that involved a Minion, looked cute and yet still boy-ish. 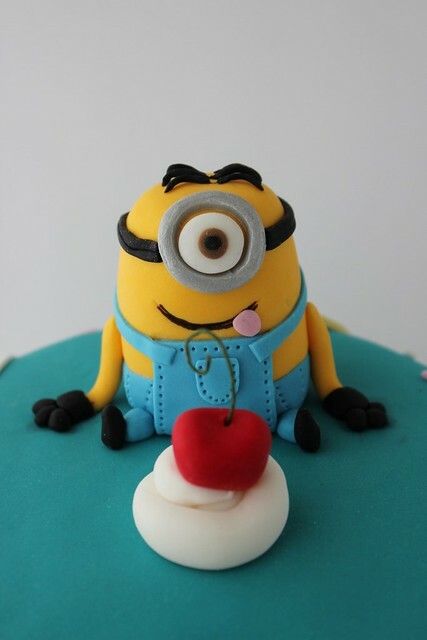 All along I had this idea of making a cake decorated like a cake with fondant then have a Minion on top licking his lips eagerly. The problem was all the cakes I had seen like this were very pink. 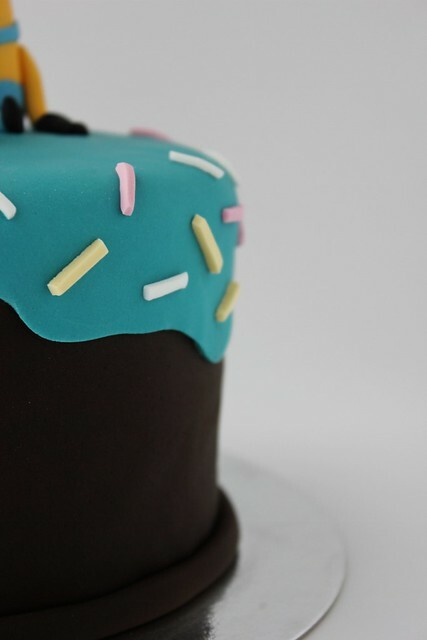 Eventually I found this cake by Torta Couture Cakes and I loved every single thing about it! I decided to adapt it a little and added my Minion friend on top. The Minion (his name is Phil by the way) was harder than I thought and I found myself doing the usual perfectionist thing; stating that it wasn't good enough, stomping away and having a cry, then coming back and quietly finishing it off. I had lots of fun making this cake and am really pleased with how it turned out but the best thing about making it was definitely the "research" and by research I mean watching Despicable Me 1 and 2 of course!